Nevada has had an Education Savings Account program for two years now, but whether students will ever be able to use it rests in the hands of state Democrats who have made clear they’d prefer it didn’t exist. On Friday, Majority Leader Aaron Ford said state Senate Democrats would not hear a bill that would have allowed Nevada’s ESA program to move forward by fixing its funding mechanism, which the state Supreme Court declared unconstitutional in 2016. Hammond’s legislation would create a new silo of ESA funding separate from the account used to fund public schools, addressing the court’s ruling. It appropriates funds Republican Gov. 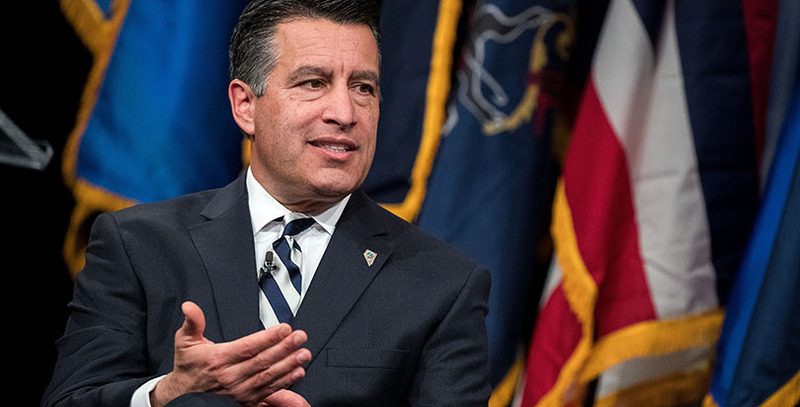 Brian Sandoval already set aside in his budget — $60 million over two years — for the program. Administration of ESAs would move from the treasurer’s office to a new division in the Department of Education called the Office of Educational Choice. The bill would limit ESA participation to 5 percent of a district’s average daily student enrollment. Still, Democrats have resisted the program since 2015, when it passed along party lines, and now that the Democrats are in the majority, Republicans acknowledge that compromises will have to be made first. Nevada’s ESA program is the broadest in the country, with no income limits on who can apply. “We’ll listen to anyone who has an opinion on how to make it better,” Hammond said. Even a compromise bill might not be enough to persuade die-hard opponents. So far, 8,000 families have applied to the program, far more than the proposed $60 million can pay for. ESAs would allow parents to take $5,000 per student to spend on private school tuition, online school, or homeschool materials.